Чем выше плотность ткани, тем она прочнее. 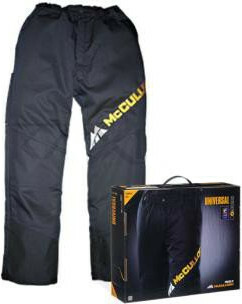 Comfortable, lightweight chainsaw trousers - ideal for the average chainsaw user. Offering protection against chainsaws with a chain speed of 20m/s (class 1), the UNIVERSAL chainsaw trousers not only look stylish, but are comfortable to wear and come with a pair of braces to ensure maximum comfort when using a chainsaw. With conveniently located front and back pockets, you can make sure you have all the things you need at hand, like you mobile telephone.